Rate: $109 / night - must be reserved by November 1st. 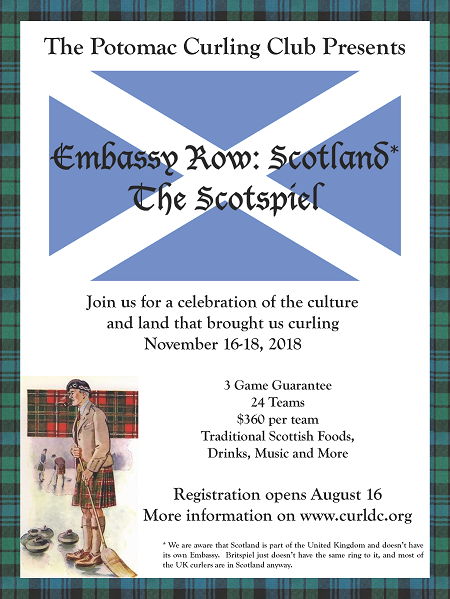 Instructions: To book a room, go to the web site,click "check availability" at the top, enter the check-in and check-out dates, click the "+" next to "special rates", then click "Promotional Code" and enter "Bonspiel". That will get you to the special rates for the Embassy Row Bonspiel. 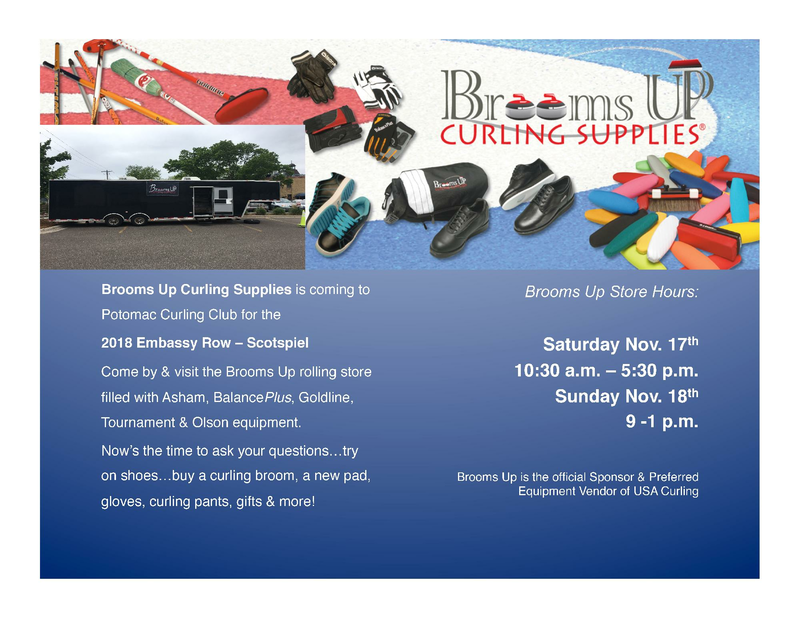 BroomsUp will be onsite for your equipment needs!